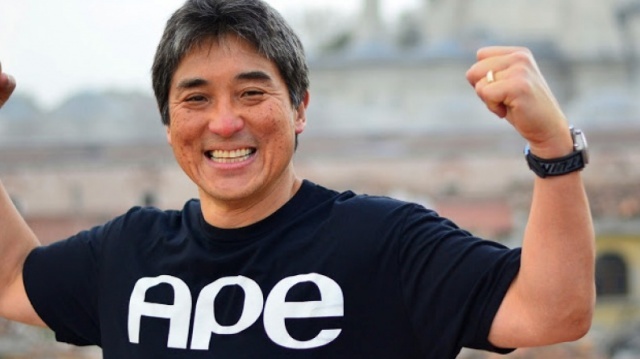 Today on the podcast, Michael Covel welcomes Guy Kawasaki. For those of you that pay attention to being an entrepreneur, Kawasaki’s books have been invaluable over the last decade. Currently, he is the chief evangelist of Canva, an online graphic design tool. Formerly, he was an advisor to the Motorola business unit of Google and chief evangelist of Apple. Covel and Kawasaki discuss a lesson learned from Steve Jobs: “Some things need to be believed to be seen.” Covel and Kawasaki also discuss why being a consultant or an investment banker are two of the worst first jobs you can get; working in sales, and Kawasaki’s early experience in the jewelry business; some of the most valuable attributes of a good salesman; marketing, social media, and why you’d want to have a rabid fan with fifteen followers rather than just another blurb on the back of your book from the so-called big name; why a book review in The New York Times isn’t as important as it used to be; the Amazon and Hachette conflict, and why Amazon is still the best thing to happen to authors in a long time; the two types of people in the world–baker vs. eater; how Kawasaki manages his time; looking at your social media presence as core to your existence; disruptive high growth opportunities; introversion and getting better at standing on stage. For more information on Guy Kawasaki, follow him on Google Plus.